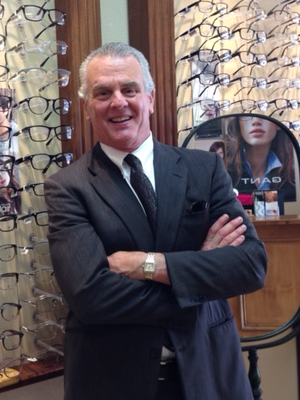 Dr. Robert Howard has been practicing optometry for many years in San Diego. With a large and loyal patient following, Dr. Howard values each and every one of his patients, many of whom he has been seeing for three decades. Dr. Howard takes hundreds of hours of continuing education classes to stay up to date on all of the latest developments in the field of optometry. We use the latest technology to determine your precise prescription in our office. Dr. Howard has been involved with many organizations over the years including The Rotary Club and Toastmasters. He has volunteered his time with The Flying Samaritans, The Lions Club and The Rosebud Sioux Indian Reservation. In his spare time, Dr. Howard enjoys surfing, swimming, and traveling with his wife and two daughters.